With a population of around 20,000, Neath is located close to the south coast of Wales next to Swansea. There is some great, affordable housing in Neath, and at My Home Move Conveyancing we have been improving our knowledge of local markets since 2002, meaning we can offer our clients in the area a specialist, fixed fee conveyancing service. When looking to buy or sell property in Neath, you must instruct a lawyer to carry out the legal work on your behalf. 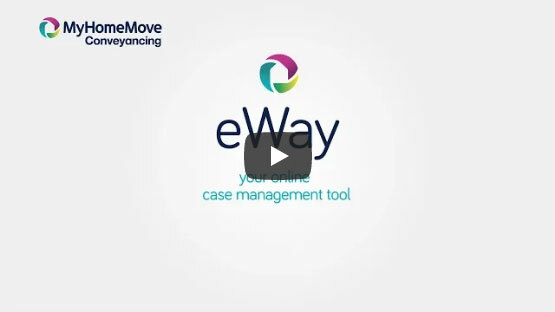 My Home Move Conveyancing offer award winning customer service, innovative use of technology, intimate knowledge of the local market, and we are open seven days a week. Our conveyancing service is fixed fee, meaning you know how much you’re paying from the outset with no extra hidden costs for you to worry about when you choose us to be your Neath conveyancers. What’s more, if you don’t end up moving, you won’t pay us a thing in legal fees. Each of our clients is assigned a dedicated conveyancer who will look after all aspects of your case from start to finish, providing you with regular updates and a consistent point of contact. At My Home Move Conveyancing we have used our experience of local markets like Neath to provide conveyancing services in places such as Cimla, Melyn and Penrhiwtyn across the local area. The average house price in Neath Port Talbot is £84,598, while the overall average sale price in Neath during the past 12 months was £118,266. Semi-detached properties proved most popular in the area, going for an average of £104,839. Terraces sold for an average price of £82,508, while detached properties fetched £183,077. Neath sits on the banks of its eponymous river, and it is this river that Neath can point to as being a key part of the town’s history, for it grew up as a crossing point, with the Romans establishing a fort in Neath in the latter part of the 1st century. Neath also has a long history as a market town, while the Industrial Revolution brought large amounts of growth to the area. The modern town boasts plenty of modern amenities and a great location close to the south Welsh coast and Swansea, which can be found just 7 miles away. Trains to Swansea take a touch over 15 minutes, while it takes closer to 40 minutes to get to capital city Cardiff. The M4 motorway passes to the south of town, providing Neath with easy access to Cardiff, Bristol, Reading, and eventually London. Cardiff Airport meanwhile lies less than 40 miles away, a journey that can be completed in around 50 minutes by road. There are plenty of schools in the local area for parents with younger children to consider, including Neath’s Alderman Davies Church in Wales Primary and Gnoll Primary, and Crynallt Primary School in Cimla. Secondary options include Dwr-y-Felin Comprehensive School and Cefn Saeson Comprehensive, also in Cimla. All properties in Neath will fall within one of the following council tax bands.